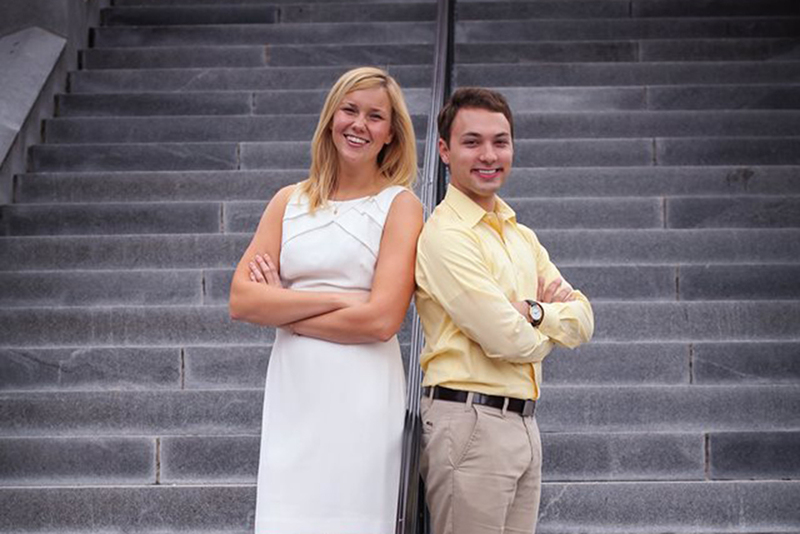 We are so honored to be running for Student Body President and Vice-President. Our positive experiences at Tech over the last few years have encouraged us to empower other students to become leaders on campus, in the community and eventually the world. Beyond our roles on the Executive Cabinet of SGA, we have invested our time in implementing several campus-wide initiatives. Dillon was on FASET Cabinet, is a Tech Student Ambassador and created Friday Buzz. Brandie is a Peer Leader (PL), a founder of Wreckless and has helped create programs such as a service project at FASET. To enhance student experience, we will focus on student life, campus infrastructure, technology access and SGA revitalization. Improving student life covers many issues. Some key initiatives we will work on include promoting student-faculty relationships, academic calendar restructuring, bettering GT1000, creating a stronger sense of community, fostering Tech pride and expanding counseling programs. Improvements to campus infrastructure can be made. We are committed to accelerating the student center expansion and library renovation and support bike-friendly roads. On-campus technology systems can also be improved. A robust addition of resources and services to JacketPages is needed for to better student organizations. We plan to expand CIOS and StartUp Initiatives to complement academics. And new systems like a centralized campus calendar would be created. SGA has great potential to do a more effective job serving you. By investing in our members’ leadership development they will be able to serve you better. Increasing transparency and communication with campus will also forward SGA’s mission to improve the student experience. We love Tech and see opportunity for growth. Thanks for your consideration. To join the movement or read our full platform, visit roseenbanner.com. We promise to better your college experience.